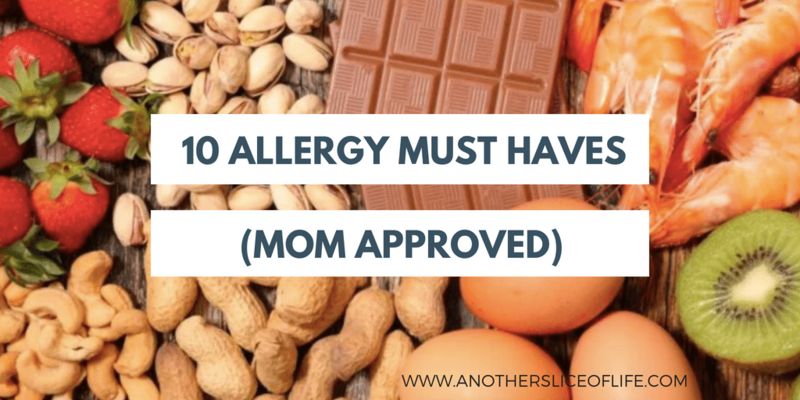 I’m sharing 10 allergy must haves (from my personal “mom” perspective) and trust me, I’ve tested my fair share over the years. 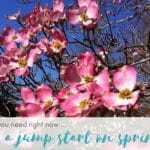 I mentioned earlier that the advice, research and experiences of people who were willing to share are what helped us get through the early years of allergies. They eased our minds and reassured us that we could experience many things successfully, even while surrounded by Mack’s allergens. We use these babies on everything! From water bottles to lunch boxes, these labels not only label and notify, but they stand the test of time! 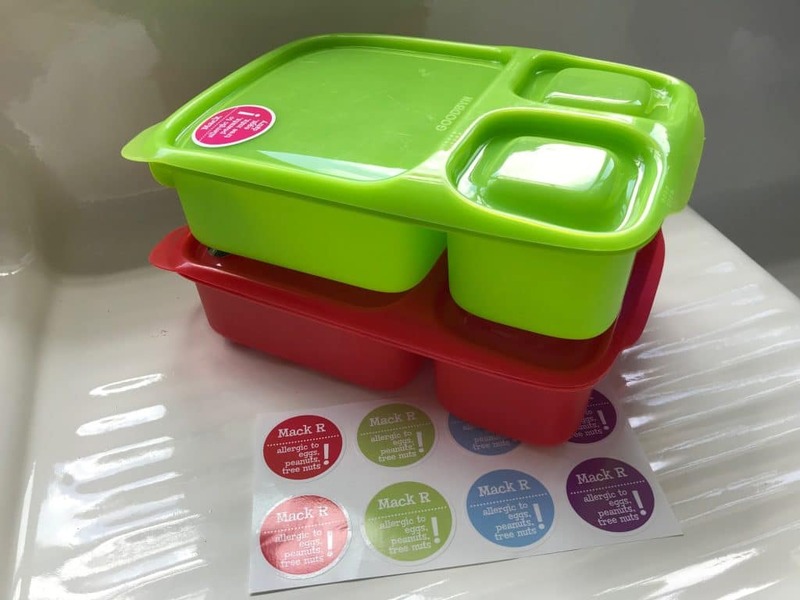 The stickers are waterproof, dishwasher and microwave safe – and they work for years! 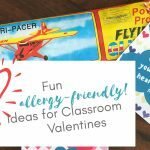 Each year, as we gain or lose an allergen, we simply have a new set of labels made. Cherry Hill Designs NEVER disappoints! Mabel’s Labels also makes great allergy alert labels that I love! My hero. Just kidding! But it is pretty great! This lunch bento container allows me to pack a compartmentalized (key for kids!!) lunch for school each day. The best part of this bin is that he can simply take the top off of it and eat out of it with no risk of his food touching a contaminated surface! It’s lightweight, easy to clean (dishwasher safe!) and fits perfectly into this Land’s End lunchbox (that we also love!). You don’t need an allergy to enjoy these little morsels of yummy chocolate! Dark chocolate and so creamy good, Enjoy Life Chocolate Chips have been our go-to for years. They are made in an allergen free facility and are free of gluten, wheat, dairy, soy, sulfites, lupin, fish, crustaceans, peanuts, tree nuts, casein, egg, sesame, mustard and shellfish. And they are seriously SOOOO good! You can buy them from their site, on Amazon and at many local grocery stores. Enjoy Life Chocolate Chips are our go to for cookies, cakes, ice cream topping, chocolate-craving snacks and more! And while we’re talking Enjoy Life, they also make a wide variety of cookies, bars and snack mixes that are all allergen free! Many of them come pre-packaged and make great “substitute snacks” when the dessert or snack offered is not safe. These little guys go with us everywhere! From wiping down tables in restaurants (I never trust that they are clean!) to wiping down seats and arm rests at the ballpark, movie theaters and more, these single wipes are genius! For years, Mack has carried two in his lunch box each day so that he can “wash” his hands before he eats his lunch. Since the package is individual they never dry out, won’t leak in your bag and can easily be carried in your pocket. This thing is GENIUS! Mack always has an Epipen with him in case of allergic reactions. And while we are so thankful to have access to this life-saving device, keeping it under correct conditions (not hot, not cold, not on ice, etc.) can be tough. For the first couple of years we carried, we always struggled in heat – where do you put it and how do you ensure it stays cool. Enter Frio! Frio is amazing! Simply submerge the pouch in water for a few minutes and it instantly becomes a cooling pouch! We now use it all summer – ballgames, the pool, the beach, the boat, the park! 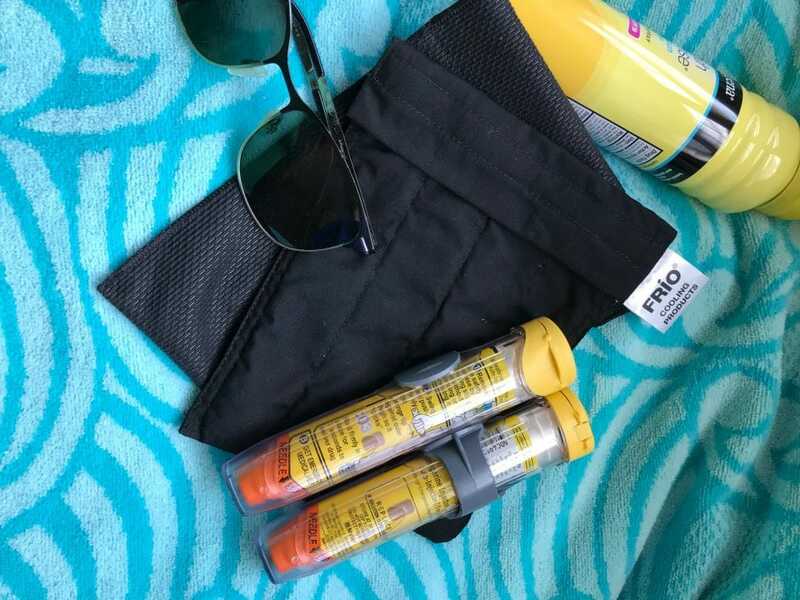 Anywhere we go, we carry the Epipen in this pouch so we don’t have to worry about its effectiveness being compromised. I only wish I’d known about it sooner! The large size is perfect for a two pack of Epipen or Epipen Jr. This nut butter replacement is our favorite! 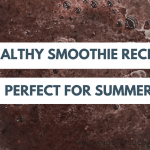 Perfect for subbing in smoothies, cookies, on sandwiches or eating by itself. It’s creamy and smooth, just like our old favorite peanut butter. Made in a peanut and tree nut free facility so there’s no worry! While the smooth variety is our top pick, we love the crunchy too! This book was my go-to in the early days! I mean, I had no idea how to make a cake without butter and eggs?! 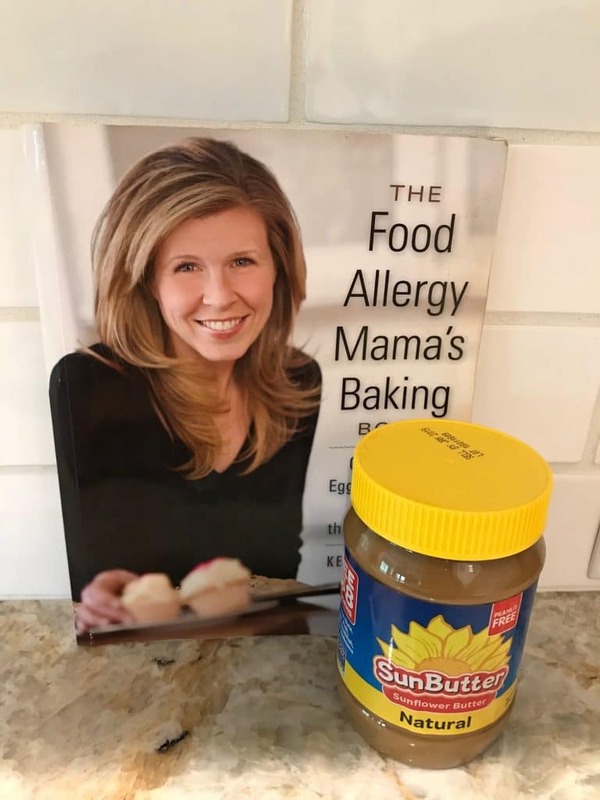 While many of my current go-to recipes are my own creations, this book kick-started my allergen-free baking journey! Do you have a favorite allergy-friendly product or must-have convenience item? If so, please share! I’m always looking to make life a little easier! Want to know when we publish our next blog post? Subscribe to our email list to receive updates. 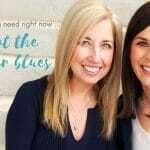 DavieLiFE Magazine is a publication of Sum5 Communications, Inc.